RIVAL 5 was designed by a teacher in a classroom of adult learners for the purpose of refining their basic computational skills. Both children and adults love this brain training game of strategy, skill and chance for ages 9-99. The game is simplistic but challenging. It uses 12 sided dice and players compete to creatively manipulate numbers 0 – 12 to align their chips while blocking their opponents. 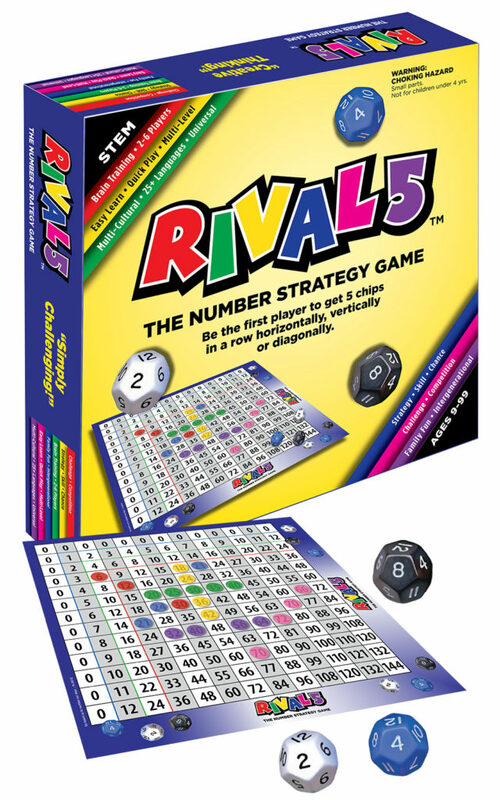 Surprisingly, both math lovers and math haters love this game. Watch for our app coming soon! Absolutely captivating. Kept me constantly thinking – want to play again.